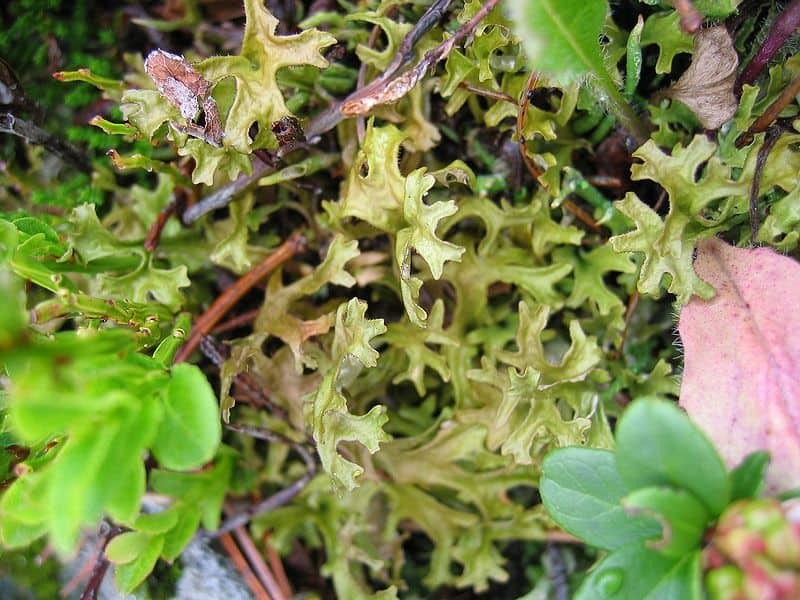 Botanical Name of Iceland Moss: Cetraria islandica. Other Common Names: Iceland lichen, eryngo-leaved liverwort, Islaendisch Moos (German), Islandslav (Swedish), mousse d’ Islande, lichen d’Islande (French), liquén de Islandia (Spanish), puklérka Islandská (Czech), Islanninjäkälä (Finnish), erba rissa, Lichene Islandico (Italian), and fjallagras (Icelandic). Habitat: Iceland Moss (Cetraria islandica) is a circumpolar lichen abundant throughout the Arctic and mountainous regions of the northern countries. It is found in the mountains of North Wales, North England, Scotland and South-west Ireland. In North America, its range extends through Arctic regions, from Alaska to Newfoundland, and south in the Rocky Mountains to Colorado, and to the Appalachian Mountains of New England. Icelandic moss is also found on moist or dry tundra among mosses or in the open and may be found on forested sites and rocky crevices. It grows best in direct sun and can grow on shallow, sterile soils. It is well adapted to strong winds and harsh environments, and it likes open, sandy soils at high elevations. Plant Description: Cetraria islandica is not a moss, but lichen, a symbiotic association between algae and fungus. Although it is not a vascular plant, the structure of Iceland moss can be mistaken for stems and leaves, which makes it look like a moss; the likeness in appearance may have been the reason for its name. Cetraria islandica is a fruticose, or shrub-like and bushy, lichen growing loosely on the soil to a height of 3-4 inches. 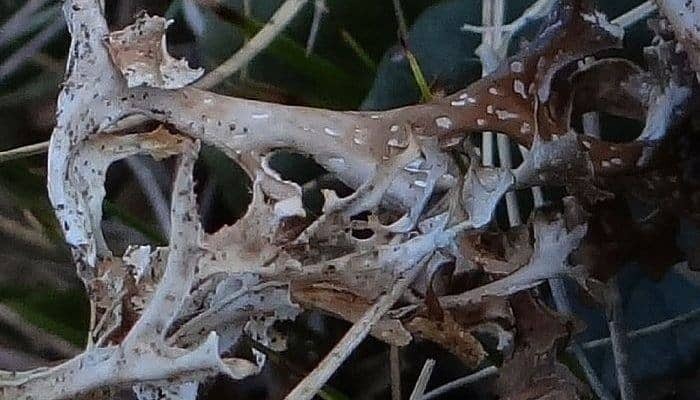 The thallus (the body of fungi and lichens, being without vascular tissue and not differentiating into root, stem, and leaves) is channeled or rolled into thin, branched tubes, which terminate in flattened lobes fringed with minute papillae, rarely more than 5mm wide. The whole lichen is very tough and springy. It varies considerably from pale chestnut to grayish white; the upper surface is darker, the under surface is lighter to whitish. There are white spots which have a chalky or mealy appearance, and which are lodged in little depressions of the thallus. Plant Parts Used: The whole lichen. It may be gathered throughout the year; during the dry weather between May and September is best. It can be dried for later use by removing loose debris and drying it in direct sun or shade. Traditionally Iceland moss was considered a galactagogue and to have strong antibiotic, antiemetic, strongly demulcent and nutritive properties. Iceland moss has been principally recommended in chronic pulmonary and digestive conditions, particularly phthisis ( a wasting condition also known as pulmonary tuberculosis), dyspepsia, and chronic diarrhea. 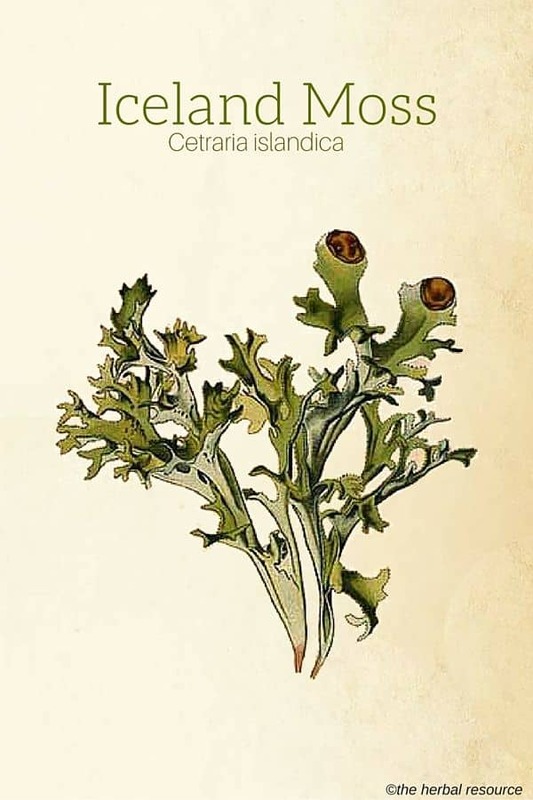 Cetraria islandica is understood to have both a bitter tonic action and a demulcent effect within the gut, a combination almost unique amongst medicinal herbs. The lichen has an important place in Traditional Chinese Medicine (TCM). The medicinal properties may have been first known to the natives of Iceland; according to Borrichius, the Danish apothecaries were acquainted with the medicinal applications of Iceland moss in 1673. In ancient times, the herb was a traditional herbal cough remedy, and had been used in European folk medicine as a cancer treatment. Iceland moss contains up to 70 percent starch and historically had been used as an emergency food in desolate places. Historically it was widely used in bread, porridges, and soups. Traditionally in northern Europe, the powdered lichen was used as a thickener in soups. It is highly prized by the contemporary herbalist as a useful antibiotic and demulcent. Traditionally it was used to soothe the mucous membranes of the chest, to treat chronic pulmonary problems, to counter catarrh and to calm dry and paroxysmal coughs and as a relief for advanced tuberculosis. The mucilage properties of this herb provide a natural treatment for the oral and pharyngeal membranes. Its bitter organic tonic action may stimulate the appetite and promote gastric secretion. 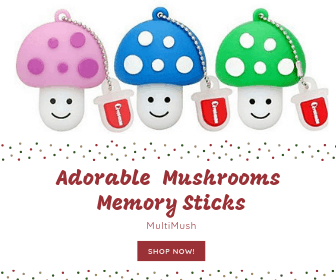 Iceland moss is rich in mucilages and its soothing action is useful for conditions such as gastritis, gastric ulcer, hiatus hernia, and reflux esophagitis. It is thought to be a useful herbal treatment when used internally in the treatment of dysentery, chronic digestive disturbances (including irritable bowel syndrome and food poisoning). Cetraria islandica was traditionally used for relief of vomiting arising from irritation and inflammation of the stomach. It may be a useful herbal remedy for low-grade stomach infections seen when there is low stomach acid production. It is used as a remedy for the effects of excess stomach acid secretion and it is thought to be a natural treatment for conditions such as malnourishment, debility, and anorexia. Iceland moss has been traditionally used in cases that require nutritious and easily digested nourishment that will not upset the stomach. Ordinary doses improve the appetite, digestion and general nutrition. The herb is used as a surface application to treat boils, vaginal discharges, and impetigo. Tea: simmer 1.5 to 3g of the dried plant in 5 oz of boiling water, and then strain. Bitter tonic: 2-4 grains (0.1 to 0.25 grams) as a bitter tonic and an aperient (mild laxative). It is always advisable to consult a healthcare professional when Iceland moss is intended as an herbal medicine. Medicinal herbs can interact with synthetic medications and also with each other. In excessive doses or with prolonged use, Iceland moss can cause nausea, looseness of the bowels, gastric irritation or liver problems. Williamson E, Elisabeth M.: Potter’s Herbal Cyclopaedia. Essex, England. Saffron Walden 2003. Weiss, Rudolf Fritz & Volker Fintelmann: Herbal Medicine. 2nd Ed, revised and expanded. Stuttgart, Germany. Thieme 2000. Peirce, Andrea: The American Pharmaceutical Association Practical Guide to Natural Healing. New York. William Morrow and Company, Inc. 1999.